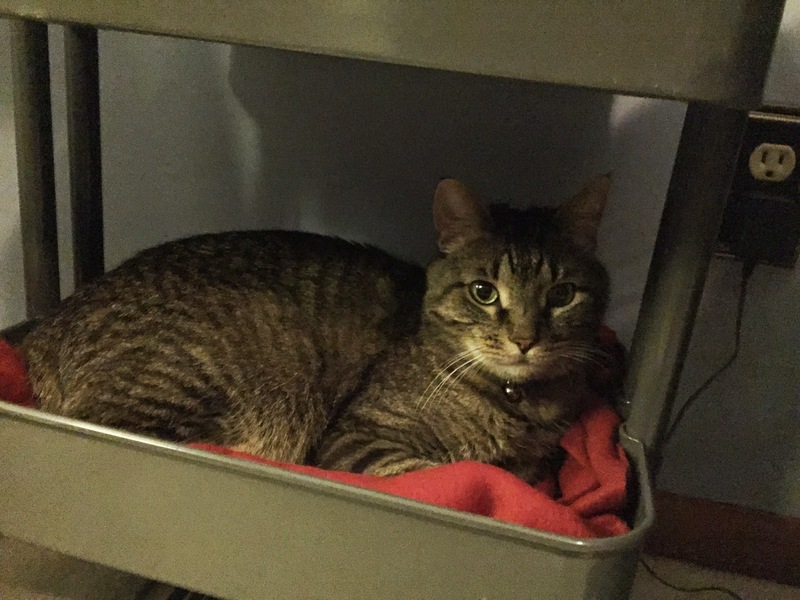 Gus: When Mama first saw the RÅSKOG utility cart, she knew right away it would make a great multi-level cat bed. She didn't get it right away because the IKEA in Kansas City had just opened up and it was crazy busy there. Well, she finally bought one and we totally approve! Mama put it in the prefect spot - over the heat vent in her bedroom. It is a great place to nap on a cold winter day. Much more comfortable than lying directly on the heat vent. Mama likes that it is made out of steel so she will be able to sanitize it after the minions students use it. At $50, it isn't super expensive either. I'm adding this to my list of Things I Love! OMC! What a great idea!! We're gonna show the mom this. What a great idea! I want to go to IKEA now, but its an hour and a half away and snowing. What a great idea. Probably need one for the Green kitties! Of course the spoiled Green kitties need one! I was wondering if it would work well to store the toys at the adoption center. 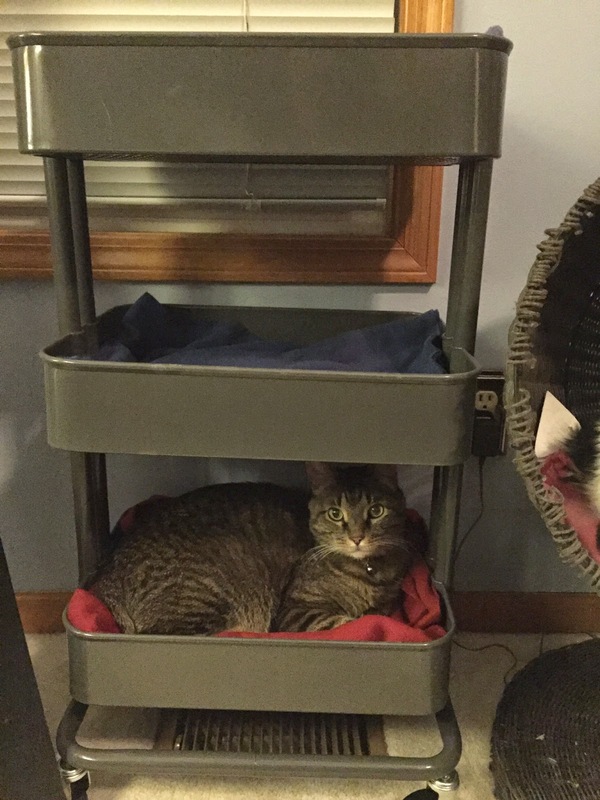 That's a great idea for a multi-level perch. I must disagree though, I find the heater vent very comfortable, and warm.